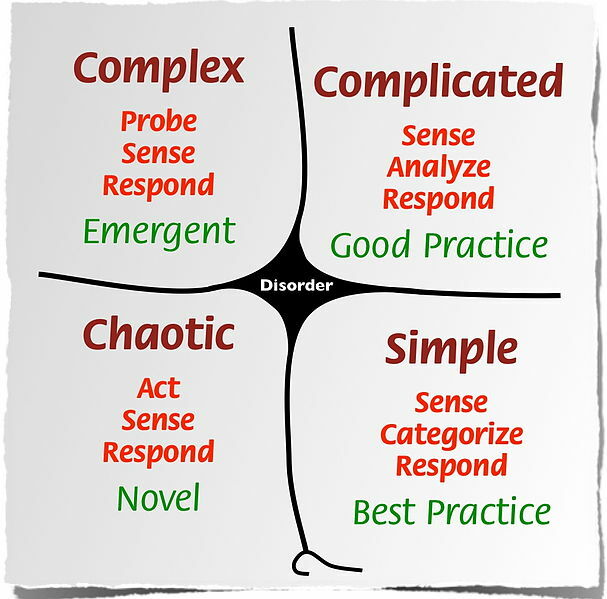 This entry was posted in sense-making and tagged chaotic, complex, complexity, complicated, cynefin, dave snowden, simple on 28/10/2011 by Marcus. Thanks, Marcus. It is very commendable to think about complexity. The notion “complex” is complex itself, and I feel that we all heven’t yet understand it. It matches project situations but I think you may appliy it on every management situation. Also it gives more tangible hints and suggestions than the Cynefin concept. I’m still looking for less celebrated ideas than the famous ones. In the majority of the cases the celebrated concepts are hackneyed. Which ideas are successfull? Not primarly the deep ones. The effort to understand them is too big. People love the simple one and – in addition – those which are simplifying. Thanks Marcus for this post, and thanks Peter for the model of Loch et al.